Enhance your PRiME 2016 experience by diving into one of five ECS short courses! 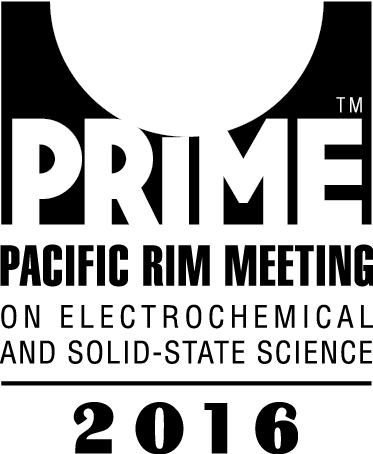 PRiME 2016 short courses will be held on Sunday, October 2, 2016 from 9:00 a.m. to 4:30 p.m. in Honolulu, Hawaii. ECS will be offering five short courses at the 229th ECS Meeting this year in San Diego. This course is intended for chemists, physicists, materials scientists, and engineers with an interest in applying electrochemical sensors on fields like biomedical analysis, pharmaceutical analysis, and food analysis. Also, this course can help understand the manufacturers of new electrochemical tools to explore better the response characteristics of nanobiosensors, and to connect in the best way their sensitivity with the sensitivity of the instrument. The course is best suited for an attendee who has basic knowledge of electrochemistry. The attendee will develop a basic understanding of the principles of molecular recognition, design, response characteristics, a new class of stochastic nanobiosensors, and various applications and features of nanobiosensors. This course is intended for scientists and engineers who are interested in using rotating electrodes in their projects. Examples of application include fuel cell catalyst screening, corrosion inhibitor testing, and electroplating. After a brief introduction of basic concepts of electrochemistry, major kinetic processes at electrode surface are described. Emphasis is given to mass transport phenomena in fluid dynamics. These theoretical discussions are designed to help attendees appreciate the simplicity and the wide reach of rotating electrode techniques. A significant portion of the course will be allocated for a hands-on demonstration when a real experiment is performed. Specific and practical knowledge, often taken for granted by experts, will be disseminated so that a researcher new to this area can get started quickly. 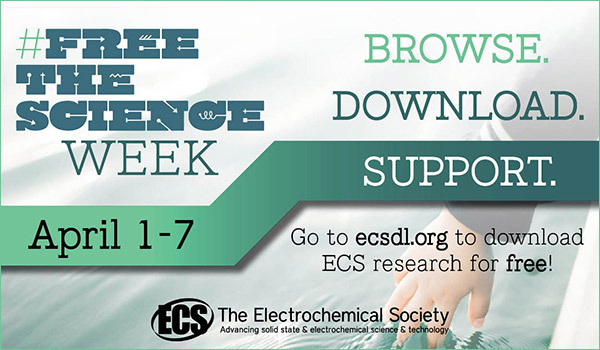 This course is intended for chemists, physicists, materials scientists, and engineers with an interest in applying electrochemical impedance techniques to study a broad variety of electrochemical processes. The attendee will develop a basic understanding of the technique, the sources of errors in impedance measurements, the manner in which experiments can be optimized to reduce these errors, and the use of graphical methods to interpret measurements in terms of meaningful physical properties. This course covers the basic theory and application of electrochemical science. It is targeted toward people with a physical sciences or engineering background who have not been trained as electrochemists, but who want to add electrochemical methods to their repertoire of research approaches. There are many fields in which researchers originally approach their work from another discipline but then discover that it would be advantageous to understand and use some electrochemical methods to complement the work that they are doing. The course begins with a general, basic foundation of electrochemistry and uses it to develop the theory and experimental approaches to electrochemical problems of a thermodynamic nature. It complements a sister course, “Fundamentals of Electrochemistry: Basic Theory and Kinetic Methods”, offered alternately by the same instructor. The two courses have different emphasis, and each is designed to be a stand-alone introduction to electrochemical fundamentals. If both courses are desired, they can be taken in either order. This course covers the basics of corrosion science and corrosion engineering. It is targeted toward people with a physical sciences or engineering background who have not been trained as corrosionists, but who want to understand the basic concepts of corrosion, learn to select the appropriate materials an know which will be the typical techniques and methodologies to test and qualify materials (resistant to corrosion). The course will begin with a general, basic foundation of electrochemistry and corrosion. It will cover the typical engineering materials (metals, non-metals, composites, etc.) and their interaction with their environment (temperature, pressure, gasses, liquids, etc.) and the common methodologies to prevent and control their degradation (material selection, adding inhibitors, applying a protective coating, using cathodic or anodic protection, etc.). Basic knowledge of corrosion monitoring and inspection as well as field and laboratory testing will be covered. Interested in kick-starting your 229th ECS Meeting experience with an all-day lesson on a topic of your choice? Consider registering for one of five ECS short courses. ECS short courses will be held in San Diego, CA on Sunday, May 29th, 2016 from 9:00 a.m. to 4:30 p.m., offering enterprising students and seasoned professionals alike the opportunity to receive intensive education from academic and industry experts within intimate learning environments. Pre-registration for short courses is required. Substantial discounts are offered for students and those who register by the early-bird deadline of April 29, 2016. Receive a $75 discount on your short course fee with the purchase of a meeting registration. Short course registration closes on May 23, 2016. ECS will be offering three Short Courses at the 227th ECS Meeting this May in Chicago. Taught by industry experts, the small class size creates an excellent opportunity for personalized instruction helping both novices and experts advance their technical expertise and knowledge. This course covers the basic theory and application of electrochemical science. It is targeted toward people with a physical sciences or engineering background who have not been trained as electrochemists, but who want to add electrochemical methods to their repertoire of research approaches. There are many fields in which researchers originally approach their work from another discipline but then discover that it would be advantageous to understand and use some electrochemical methods to complement the work that they are doing. The course begins with a general, basic foundation of electrochemistry and uses it to develop the theory and experimental approaches to electrochemical problems of a thermodynamic nature. Read more. Dr. Jamie Noël is an established electrochemist and corrosion scientist. Throughout his career, he has worked on corrosion issues in the nuclear industry and entered into academia through his position as a research scientist and adjunct professor in the Department of Chemistry at the University of Western Ontario in London, Canada. Dr. Noël assists in training and directing students, carrying out fundamental and applied electrochemistry research projects, and teaching electrochemistry at the graduate level. He uses electrochemical and other surface analytical techniques to study the corrosion of nuclear reactor components and nuclear waste management systems material. He continues to refine techniques that combine electrochemical measurements with neutron-based materials science techniques. Registration for the short courses has been extended through the start of the meeting. ECS will be offering three Short Courses at the 227th ECS Meeting this May in Chicago. Taught by industry experts, the small class size makes for an excellent opportunity for personalized instruction helping both novices and experts advance their technical expertise and knowledge. Are you a graduate student, postdoctoral fellow or senior researcher who would like to improve your writing skills? This course is for you! Are you a professor who spends time rewriting students’ drafts of journal papers? Then, send your students to this course or attend it yourself and learn how to improve both your own and your students’ skills! Good skills in written communication are increasingly important, whether you are in an academic or an industrial environment. The course is intended for scientists and engineers with an interest in developing their skills in writing scientific documents, including journal papers, dissertations, proposals, abstracts, and reports. Read more. 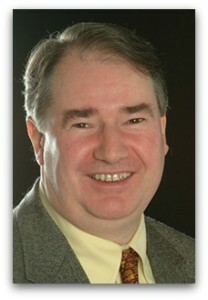 Dr. Noel Buckley, past President of ECS, is currently Professor of Physics and the University of Limerick, Ireland and Adjunct Professor in the Department of Chemical and Biomolecular Engineering and Cast Western Reserve University. Prior to his shift toward academica, Dr. Buckley spent 17 years at Bell Laboratories where he played a key role in the development of epitaxial crystal growth and characterization of compound semiconductor films for high performance optoelectronic devices and earlier worked on the development of rechargeable lithium batteries. He has more than 70 research publications and has made numerous presentations at international conferences. 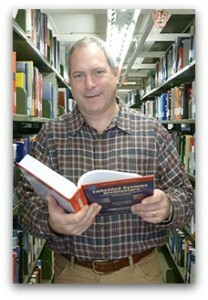 He has organized many technical symposia and has edited ~20 volumes of symposium proceedings. He has taught a graduate-level course in Scientific Writing since 2006 at the University of Limerick and via webcast at five other universities, and he has taught the present short course at previous ECS Meetings in Vancouver, Las Vegas, Montreal, Boston, and Seattle.